Harry Flashman: the unrepentant bully of Tom Brown's schooldays, now with a Victoria Cross, has three main talents - horsemanship, facility with foreign languages and fornication. A reluctant military hero, Flashman plays a key part in most of the defining military campaigns of the 19th century, despite trying his utmost to escape them all. What caused the Indian Mutiny? 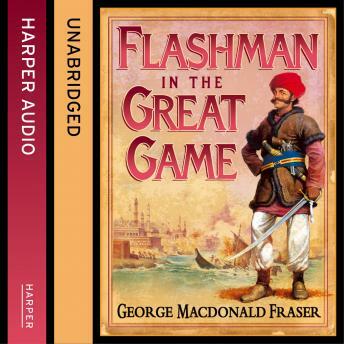 The greased cartridge, religious fanaticism, political blundering, yes - but one hitherto unsuspected factor is now revealed to be the furtive figure who fled across India in 1857 with such frantic haste: Flashman. Plumbing new depths of anxious knavery in his role as secret agent extraordinaire, Flashman saw far more of the Great Mutiny than he wanted. How he survived Thugs and Tsarist agents, Eastern beauties and cabinet ministers and kept his skin intact is a mystery revealed here in this volume of The Flashman Papers.